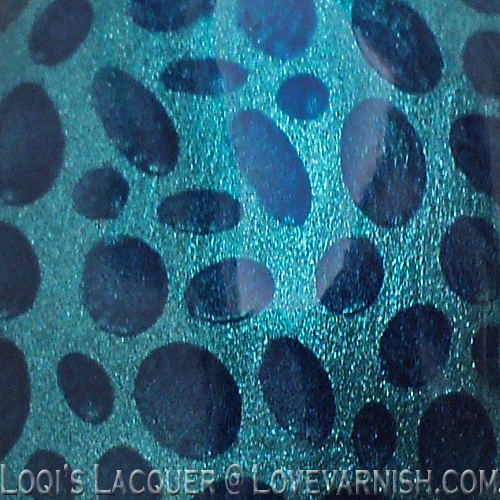 Love Varnish: Essie Trophy wife, spotted! 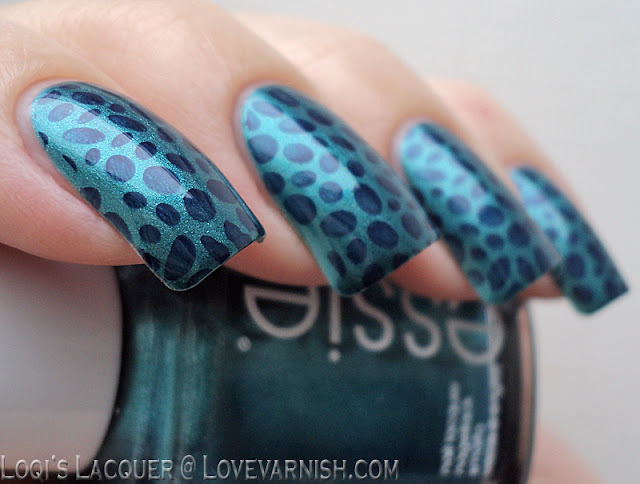 A little while ago I showed you Essie After school boy blazer, that I got as a gift from my love. 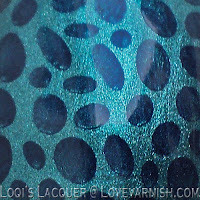 As it is a one coater I knew it would also be great for stamping. He got it for me together with Essie Trophy wife, so for today's manicure I am using them together. 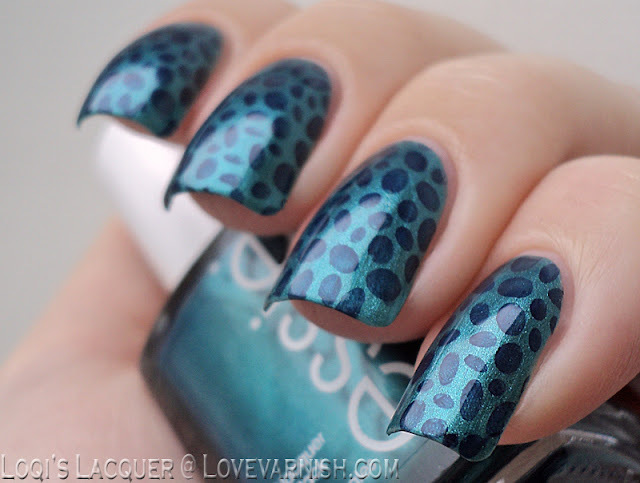 Trophy wife is a gorgeous sea-blue shimmer that covers in 2 smooth coats. I picked the spotted pattern from bm211 because I like the irregular spots. The stamping makes After school boy blazer a bit less opaque, so it doesn't look as blackened. I hope you guys like this and see you next week! Uhh I love that pattern!